Join us as our Cannabis 🍀 windfall continues! There’s so much Dank this week! Join Us! 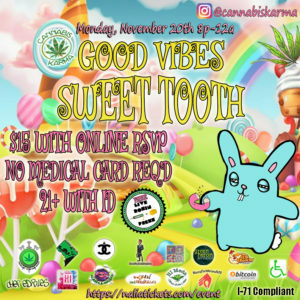 DC Premier Weekly Cannabis event! 🍀 30 Volcano Ballons HI MEDS Mahalo! Welcome BACK!